Today is Thursday, March 23, the 82nd day of 2017 in the Gregorian calendar, with 283 days remaining. 1,399 days until the end of Donald Trump's term as President, assuming he isn't impeached. 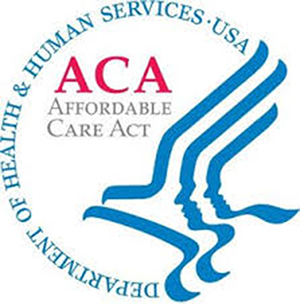 On this date in 2010, President Barack Obama signed into law the Patient Protection and Affordable Care Act. Today is also National Puppy Day. Florida man arrested for disrupting 'Beauty and the Beast'. "Our society cannot afford a two-tiered system in which the affluent have access to superior education, while everyone else is subjected to a dull and incoherent classroom experience. Academic excellence, educational equity, and fairness demand a strong foundation of knowledge for all learners." Today is also the birthday of Bette Nesmith Graham (March 23, 1924 - May 12, 1980) an American typist, commercial artist, and the inventor of Liquid Paper. She was also the mother of musician and producer Michael Nesmith of The Monkees. "He's deeply, deeply insecure about how he's perceived in the world, about whether or not he's competent and deserves what he's gotten. There's an unquenchable thirst for validation and love. Thats why he can never stay quiet, even when it would be wise strategically or emotionally to hold back." Why Trump can never let things go. A smartphone app can accurately test sperm count. Actually, it's an attachment to your smartphone. Well then, that's better. The scents in your body wash, chicken stock and canned drink all come from one company you've never heard of, and you encounter them about ten times a day. AT&T and Verizon are the latest companies to pull advertising from Google's display network amid concerns that the company does not do enough to prevent ads from appearing on YouTube videos promoting terrorism and hate speech. A mysterious 'robot' is spotted on top of Elon Musk's SpaceX drone ship in Port Canaveral. The equipment is believed to be SpaceX's highly anticipated 'Optimus Prime'-style robot that is rumoured to be working alongside Falcon 9. Have a great weekend... see you next week.